After a few moments of trying to remember anything about flaming skulls in religious training (and talking with Jackson about the same), Harukai shrugs and looks in the direction Nilparin just scouted. OOC: the frequency of posting has really gone down in the past few weeks. Are people still interested in this game? OOC: I apologize on my part as my work schedule has went sideways as of late. We are nearly done with this campaign so i will do my best to finish it. 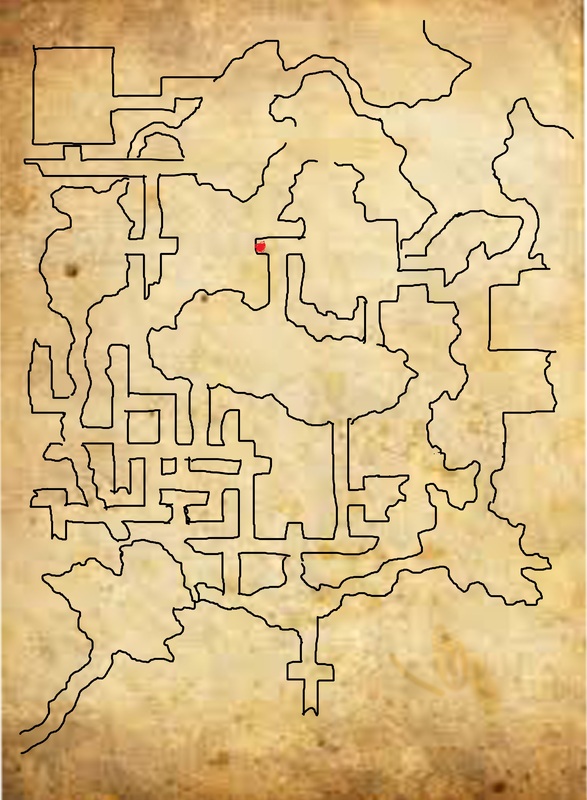 Is the group going to the flameskull room or another way? OOC: I was hoping Jackson or Nilparin would give a preference. If they do not comment in, say, the next few hours (or if you want Sildar to have an opinion), we could just go check out the flaming skull room..
"I don't believe I've seen a creature like that before, I could scout the other way first if you'd like. At least see what's that way"
“Sounds reasonable,” responds Harukai to Nilparin. "Indeed. We should weigh all our options before proceeding." Going through the path to the north and turning west you come to a door that is closed. The door is not locked, but something on the other side is keeping it from opening. You can hear voices coming from the room. Nil goes back to the group "The other door is locked and it sounds like theres voices on the other side"
Harukai listens to Nilparin’s answer, then moves the way the group decides, trying to be Stealthy. The voices in the room are actually speaking a goblin dialect. They are discussing food and being hungry. The door is actually not locked, but the door is hitting on something inside the door. "I can help someone open the door" whispers Harukai. OOC: Being trained in athletics, he should be able to let another person make a check with advantage. "Ready when you guys are," he whispers again, bracing himself to push the door open violently when the others are ready. Jackson rams the door with Harukai after Nil casts Knock, looking to get the jump on the first thing he sees on the other side. OOC: very nice spell to clear the door. As Nil casts the spell, Jackson and Harukai push hard on the door, which gives way easily. Upon the door bursting open, you immediatly see and old table that was used as a barricade that was pushed aside by the magic. Old stone bunks line the walls of this barracks, which is heated by a glowing iron brazier in the center of the toom. Five bugbears are in this room, arguing about dinner when the barricade suddendly slams to the side and the door busts open to a group of adventurers with weapons drawn and charging them. They are unprepared and beging reaching for their weapons as the group begins to strike. Jackson rushes forward and makes two vicious strikes with his longsword against the closest bugbear, cutting deep across his chest. Everyone else take a turn and we will begin intative. Sildar will follow Jacson, swinging his sword at the injured bugbear. Harukai bounds into the room, quickly recovering his balance as the other three in his party make short work of the first Bugbear. Using his momentum, he strikes at the next closest bugbear with a two handed smash at its midsection. He immediately follows up with a spinning kick at the brazier, intending to spill the hot coals under the feet of the remaining bugbears.